J&J successfully blocks first Xarelto Bleeding Injury trial. A Louisiana jury found for Johnson & Johnson and Bayer AG in the first Xarelto internal bleeding product liability lawsuit to go to trial. Xarelto bleeding injury lawsuits. 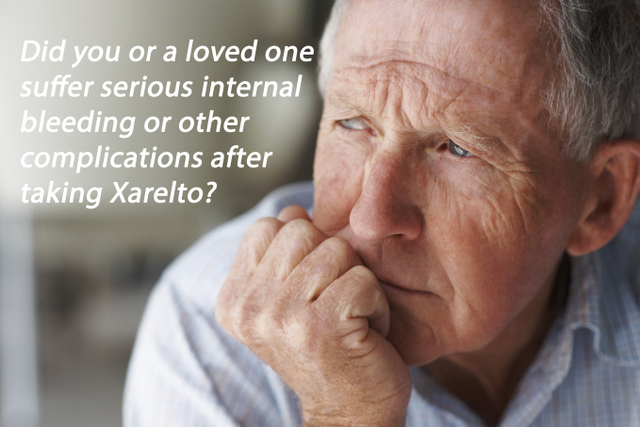 Xarelto linked to uncontrollable bleeding and death according to 18,000 lawsuits. A federal judge in Louisiana has selected two lawsuits to serve as the first test trials amid more than 7,200 cases challenging the safety of Bayer AG and Johnson & Johnson subsidiary Janssen’s blockbuster blood thinner Xarelto. The first trial, slated to start in February, involves claims Xarelto caused a Louisiana man to develop gastrointestinal bleeding, according to an order Friday from U.S. District Judge Eldon Fallon in the Eastern District of Louisiana. The second trial will involve Joseph Orr, the husband of a woman who used Xarelto for about a month before she died from bleeding in the brain (cerebral hemorrhage). The cases will go to trial in Louisiana. Xarelto consumers have filed lawsuits alleging that the drug manufacturer failed to properly warn about some of the risks, including uncontrollable bleeding. Uncontrolled bleeding caused by Xarelto has resulted in hundreds of people filing lawsuits against the company for failing to warn about the dangers associated with Xarelto. According to the Judicial Panel on Multidistrict Litigation (MDL), as of June 15, 2016, there were 5,853 lawsuits consolidated for pretrial proceedings in MDL 2592. Those lawsuits allege patients suffered uncontrolled bleeding events leading to serious injury as a result of using Xarelto. Inclusion in the MDL is not a comment on the lawsuits’ merits; rather it is an acknowledgment that the suits share similar issues. Those issues involve uncontrolled bleeding linked to use of Xarelto. Because Xarelto is a blood thinner, uncontrolled bleeding is a risk for patients. However, patients allege they were not adequately warned about that risk, nor were they told that there was no antidote for Xarelto. Patients taking warfarin, also a blood thinner, have an antidote to counter act its effects. Warfarin can be counteracted by taking vitamin K. Xarelto on the other hand has no antidote and patients suffering from uncontrolled bleeding must wait for the drug to leave their system. An independent study conducted by the Institute for Safe Medication Practices (ISMP) showed that side effects of Xarelto were linked to more serious injuries than any other drug studied by the institute. The study, which was submitted the U.S. Food and Drug Administration (FDA) last year, links more than 1,100 patient deaths to Xarelto. In the group’s quarterly report issued last week, ISMP summarized adverse event reports submitted to the U.S. Food and Drug Administration last year, which are widely considered to be an important safety signal for prescription medications on the market. Approved in 2011, Xarelto (rivaroxaban) is one of the newest blood thinners on the market and is manufactured by Bayer and marketed in the U.S. by Johnson & Johnson’s subsidiary, Janssen Pharmaceuticals. So far, Xarelto brought in about $2 billion for Bayer and J&J in 2015 alone. In the first quarter of 2016, J&J reported the drug already made $567 million. But people injured by the drug say its makers put profit before safety. The most dangerous side effect for people who take Xarelto is uncontrollable bleeding. The drug does not have an antidote, and former Xarelto users filed lawsuits saying they were not warned sufficiently about the medication’s risk. According to recent revelations in the New York Times did two major pharmaceutical companies, to protect their blockbuster drug, Xarelto, intentionally mislead editors at one of the world’s most prestigious medical journals? Several thousand injured plaintiffs have filed personal injury and product liability claims against Johnson & Johnson and Bayer over the safety of its anti-clotting drug Xarelto and its increased risk of potentially deadly bleeding side effects. Now plaintiffs claim that a letter published in The New England Journal of Medicine and written by researchers at Duke University deliberately left out critical laboratory data. They claim the companies were complicit by staying silent, helping deceive the editors while the companies provided the very same data to regulators in the United States and Europe. The New York Times article suggests that Bayer, Johnson & Johnson and those who ran clinical trials at Duke University that led to the FDA approval of the blood thinner, may have lied to editors at the New England Journal of Medicine. The heart of the controversy alleges that a key medical device that measures the levels of blood thinner in patients involved in the study was defective and that those running the clinical trial knew it, but failed to reveal that information. The New York Times reports that documents produced by the drug makers during Xarelto lawsuits suggest that those running the clinical trial were asked if there were lab tests that confirmed the accuracy of the device. The editors were told there was not, when in actuality there were such tests. It is now confirmed that the measuring device was defective and may have compromised the approval process for Xarelto, which has since been promoted as a superior alternative to warfarin. Warfarin is the gold standard anticoagulant drug that has been in use for the past 60 years. Flawed Xarelto Bleeding Medical Studies? The Xarelto blood testing problems in the clinical trial were first reported in the medical journal The BMJ in December, with researchers warning that the device may have led to an underestimation of the rate of Xarelto bleeding complications in comparison to warfarin. The ROCKET-AF clinical trials compared the rate of bleeding events between Xarelto and warfarin. The potentially defective blood testing device, known as the INRatio by Alere, was used to measure the levels of warfarin in patients’ blood and was used to adjust their dosage. An INRatio recall has since been issued after it was discovered that the device may show results that were falsely low. The recall could affect the ROCKET-AF results, because falsely low readings may have resulted in warfarin patients being given too high a dose, increasing their risk of bleeding. If the device caused excessive bleeding among warfarin patients, it could have given the false impression that Xarelto had a lower rate of bleeding problems. The clinical trials, led by Dr. Robert Califf, who is now the FDA commissioner, have come under intense criticism since Xarelto was approved, as the drug has been linked to a shocking number of adverse event reports involving severe and uncontrollable bleeding problems. 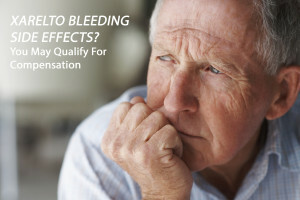 Due to a lack of a reversal agent for Xarelto, doctors have been unable to stop serious bleeding problems that occur, increasing the risk of severe injury or death. Xarelto is a new class of blood thinners released in recent years as a replacement for warfarin. Xarelto was approved in 2011, this new-generation treatment has been prescribed instead of warfarin to reduce the risk of blood clots and strokes among patients with atrial fibrillation, or following hip or knee replacement surgery. Xarelto lawsuits allege that the drug makers provided false and misleading information about the importance of blood monitoring on Xarelto, marketing the drug as easier to use and indicating that it does not require close testing like warfarin. But, independent studies published after Xarelto was introduced have suggested that Xarelto monitoring may help identify patients at greater risk of bleeds. Big Pharma is the nickname given to the vast and influential pharmaceutical industry and its trade group, the Pharmaceutical Research and Manufacturers of America or PhRMA. These powerful companies make billions of dollars every year by selling drugs and medical devices. Pharmaceuticals are HUGE business and these Big Pharma” companies stand to reap billions of dollars over the life span of a block buster drug. Big Pharma industry influence has led to the concealment of critical unfavorable data or ghost written medical articles (written by industry insiders) — when crucial clinical data went missing from journal articles, leading to embarrassing corrections and ethics policies to limit the influence of drug companies on medical literature. Xarelto, is sold in the United States by Johnson & Johnson and overseas by Bayer, had nearly $2 billion in United States sales last year. 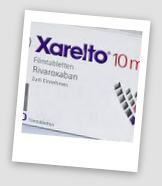 Xarelto is the best seller in a new category of drugs seeking to replace warfarin. Recently, lawyers in the case against Johnson & Johnson and Bayer filed in federal court in New Orleans, have asked the judge to unseal documents in the case, which involves more than 5,000 lawsuits filed by patients and their families who claim they were harmed by Xarelto. Of those, 500 involve patient deaths. Oren Fells from Georgia recently filed a Xarelto uncontrollable intracranial or brain bleeding lawsuit in the U.S. District Court for the Eastern District of Louisiana. The lawsuit was filed against Bayer Healthcare, Johnson & Johnson, and its Janssen subsidiary, the manufacturers of Xarelto. Fells began taking the newer anticoagulant or blood thinner Xarelto in 2013, for the treatment of atrial fibrillation, a common heart rthym problem. Fells suffered a brain bleed in January, 2014, causing him to develop life long permanent injuries.